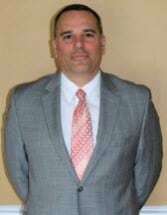 Ralph F. Fedele was admitted to the NJ State and Federal District Courts in 1996. Ralph attended Rutgers College in New Brunswick, NJ earning a Bachelor of Arts degree in 1993 and then attended Rutgers Law School in Newark, NJ earning a Juris Doctorate degree in 1996. While at Rutgers Law he served as a teaching assistant to Professor Albert Cohn in Appellate Practice. After graduating law school Ralph served as Law Clerk to the Honorable Francis Piscal in the Ocean County Superior Court. During this clerkship Ralph earned a Certificate in Mediation & Conciliation Skills from the Administrative Office of the Courts State of New Jersey. He is a partner with the firm and is head of the litigation department. Ralph concentrates his practice in Workers’ Compensation. Ralph was born and raised in Essex County NJ, but has spent his entire legal career in Toms River, NJ. He is a member of the Ocean County Bar Association and NJCOSH, a non-profit organization of Petitioners’ Attorneys, Doctors and Unions working together to protect the rights of injured workers in Workers’ Compensation Courts throughout New Jersey. He is married with 3 children. He has been actively involved in the Ocean County community coaching baseball, basketball and football for nearly a decade. He enjoys hunting, fishing, shooting and hiking with his family. Kornberg Real Estate Development Corp.